Supreme Court Judge, Ali Hameed, who was arrested in suspicion of serious crimes, has been denied bail and ordered to remain detained until the end of his trial. After being brought to the court for the first time since his arrest in February after a State of Emergency was declared, his trial was started today as well. 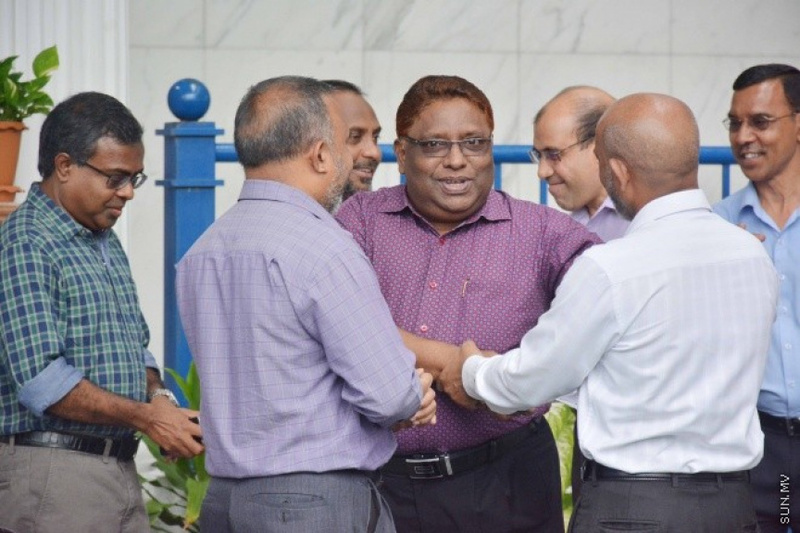 Following the hearing, Lawyer Mahfooz Saeed on Judge Hameed's legal team, said that his client has been charged with terrorism and the Judge presiding the case decided to keep his client detained until the end of the trial. Judge Ali Hameed has been charged with destroying evidence and accepting bribes. He was arrested while inside the Supreme Court and the Judicial Service Commission (JSC) has since suspended Judge Hameed.